We offer a variety of services that meet the needs of all anglers – from beginning to seasoned. Call us at 970.244.8658 to schedule your class or to learn more. We provide the gear for the casting lesson (with the latest gear available on the market), however, you are welcome to bring your own rod. We can arrange these classes to take place at local lakes, parks or your own backyard. Note: The Casting and Rigging Classes can be combined. We recommend a 2-hour minimum for the combo class. The combo class is offered at the same cost of $50/hour per person. Our Fly Tying Class is very versatile. We offer the class according to your schedule. We can facilitate a one-on-one class or accommodate a group up to five people. We teach beginner, intermediate and are willing to focus on specific fly patterns for specific rivers to meet your fly fishing needs. 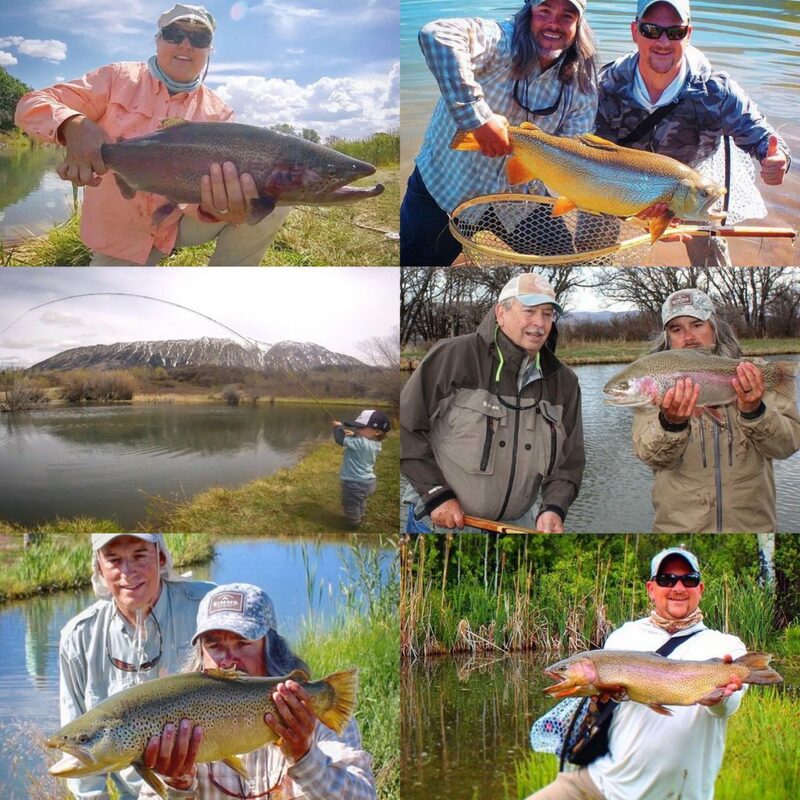 About 20 fishable lakes and ponds with following species of fish: Rainbow Trout, Brown Trout, Brook Trout, Tiger Trout, Colorado Cutthroat, Snakeriver Cutthroat and Golden Trout. Amazing and beautiful scenery! 4 Anglers+ pricing quote upon request. A second guide maybe required and additional charge possible. Pricing includes rod fee, transportation to/from the ranch, a full lunch, non-alcoholic beverages, all fly-fishing gear, flies and your chance to catch a fish of a lifetime. Consists of three fishable lakes and one pond; very easy access and great for beginners! Species include Rainbow Trout, Cuttbow and Brown Trout. Lunch is provided for full day trips only. Chef prepared meal on request (additional charge may be required). Pricing includes rod fee, transportation to/from the ranch, all fly-fishing gear, flies and your chance to catch a fish of a lifetime. Fish the world’s largest flattop mountain at Bull Basin Areas, Granby Areas, Deep Slough, Ward Creek Reservoir, Big Creek, Leon Creeks, Island Lake, Kitson, Butts Lake, Young’s Creek and Fred DeCamp waters. Species include Rainbow Trout, Brown Trout, Arctic Grayling, Brook Trout, Tiger Trout and Splake. Depending on location, drive-up, hiking and boating opportunities are available. Pricing includes transportation to/from the Grand Mesa, a full lunch, non-alcoholic beverages, all fly-fishing gear, flies and your chance to catch a fish of a lifetime. *Gratuity is not included in above pricing. At Western Anglers we can set you up with all your gear prior to your trip. 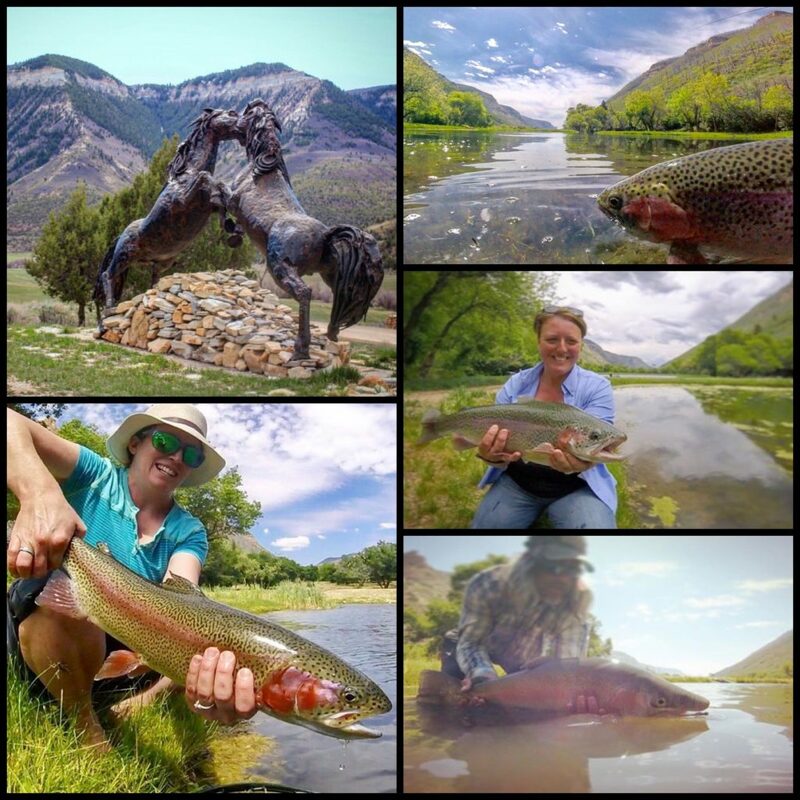 Learn how to fly fish or improve your angling abilities with a guided trip to the Bar ZX, Branded Rock Canyon, The Grand Mesa, Colorado River, Gunnison River or Roaring Fork River. Call the shop for more information on rates and availability at 970.244.8658. Guided trips maybe offered through other outfitters permits.